The above graph shows the performance of my ADSL broadband Internet access which reliably achieved greater than 7Mb/s when I moved here in 2009 but fell to around 0.5Mb/s. A recent upgrade has seen around 2Mb/s fairly reliably, though not enough for reliable IPTV, a stunning improvement on the previous 3+ years. 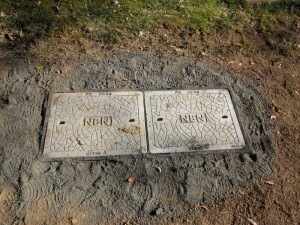 More than eight years after the futures for carriers was thrown up in the air by Minister Conroy, and six years after the NBN was announced, after years of median speeds at 10% of access service speed but 100% prices, we have seen the first signs of NBN arriving in the neighborhood… the cable pit above near the existing Telstra RIM at the end of the street. Expectation is a FTTN deployment with access speed limited to 100Mb/s (which Minister Conroy assured us we needed back in 2009). It seems most people are subscribing to a 25Mb/s service, though by all accounts median speed is well below that (no consumer protection on advertised speed, a free kick to the government owned infrastructure provider). 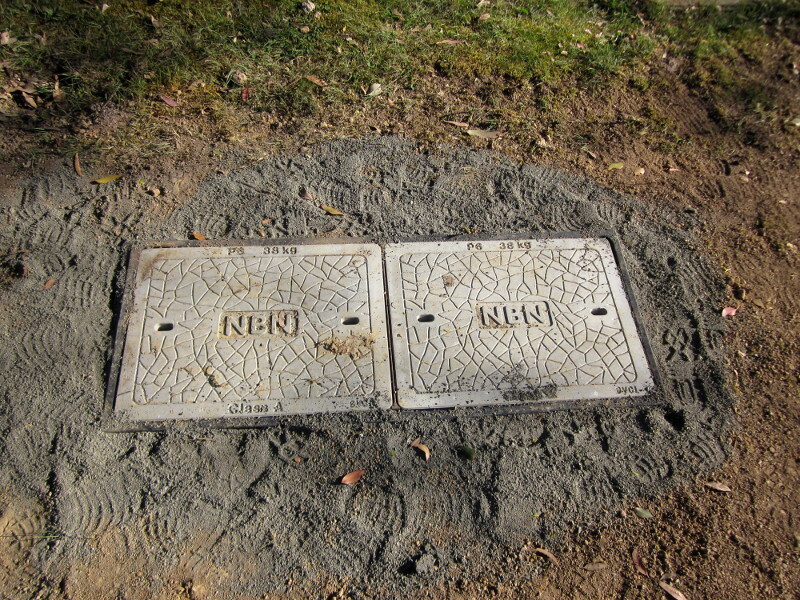 With any luck (and there is a lot of luck involved in broadband delivery, it being a political football), we might see service available some time next year. The worrying thing is that there is an election early in the new year, and the last election put a stay on all rollout whilst strategies were reviewed… government pretending to be a business. So here’s hoping for a good and rapid outcome.